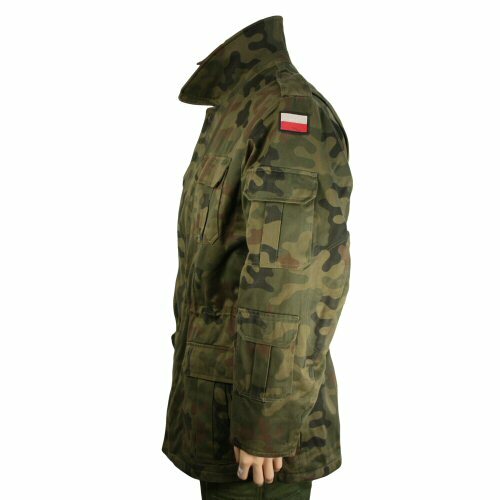 The Polish army woodland camo issue jacket is an internally lined acket made of medium to heavyweight, poly-cotton fabric. 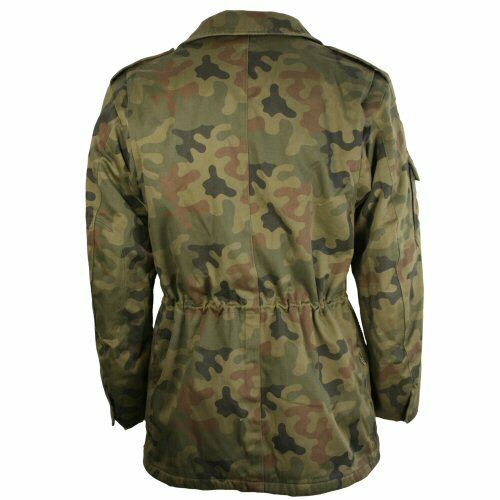 The fabric is similar in weight and feel to the British Temperate 94 jackets and trousers or the Flecktarn parkas and trousers. Internally, the jacket has an integrated quilted liner with thin polyester insulation. 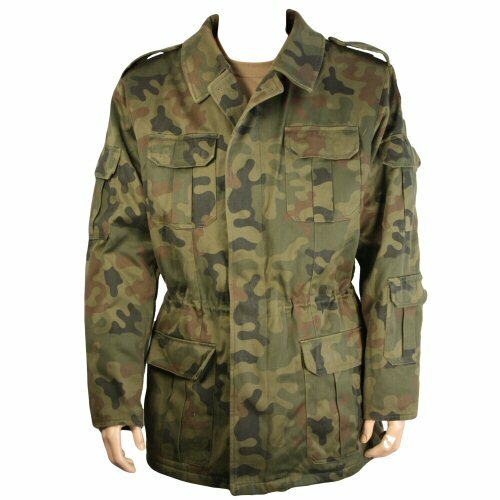 The jacket has a button front and button pockets on chest, hips and arms, making for a quiet outer layer with no velcro. 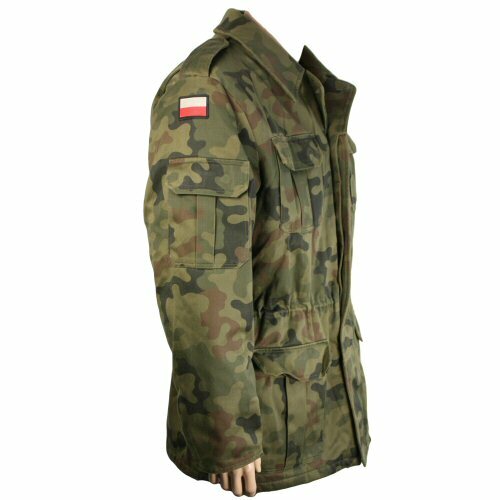 The jacket is in new and unissued condition, and is a good alternative to the winter lumberjack style jacket with a heavier wearing outer shell fabric than flannel. Sizes are: 34in chest (163/86), 36in chest (160/92), 39in chest (169/98) and 42in chest (166/104). Available options are: 36 , 39 , 42 , 34 . Side view of the jacket with the collar turned up. Upper back has a pleat for movement and the lower skirt has a zip open slit for easy access to the trouser pockets. Right side of the jacket.